A medical examiner has a unique job in the healthcare field. Your career will exist somewhere between doctor and investigator. In the instance, of violent or abusive crimes, a medical examiner may perform tests and experiments to extract evidence and paint a portrait of the inflicted abused. You may be working on live patients, but you may also be working in the capacity of a coroner’s inquest. Yes, it is a gruesome job, but your evidence may lead to the capture and conviction of criminals, which means closure and justice for the victims’ families. So, if you have a love for this unique sector of the medical field, you may find a lot of enjoyment in this career. Here are some education requirements for medical examiners. First and foremost, you will need a high school diploma. This is a prerequisite. Without a diploma, you won’t be able to enter a four-year university and then go off to medical school. In high school, it can help to focus your studies on the life sciences, like biology. However, you may also want to take chemistry and other similar courses, because it could come in handy down the line. Next, you want to enter a four-year university. At a four-year university, you will learn the fundamental building blocks you will need when working as a medical examiner. Not only will you be taking basic fulfillment courses – you will also be taking science courses and maybe even criminal justice courses. Your undergraduate studies will be important when it comes to applying yourself in med school. Some of the science courses you will take, like anatomy, will directly affect your ability to succeed during the most intensive parts of your training. It will also allow you to become more skilled in certain areas of the medical field. After your four-year undergraduate studies, you want to apply to med schools or specialized training schools, like the Medical Education and Research Institute. Med school is where you will really be breaking down your studies and working closely within the realm of the medical examiner field. For instance, you will be working on actual cadavers to learn more about the body. You will also be learning about pathology, organic biology and forensics. All of these modes of thought will be critical in your future career. So, it is important that you take each and every course and study carefully – you want to absorb as much as possible. Eventually, you will be working in the realm of autopsies and how to look for clues of violence and abuse. In the end, a medical examiner will certainly have an emotional career. You will be working in some pretty intense and hard to bear circumstances. You may also be working with victims of severely brutal and violent crimes. However, if you can remove yourself from the emotional aspect of the career, you will be able to focus your education and training on solving crimes and making medical inquiries that could save other peoples’ lives. 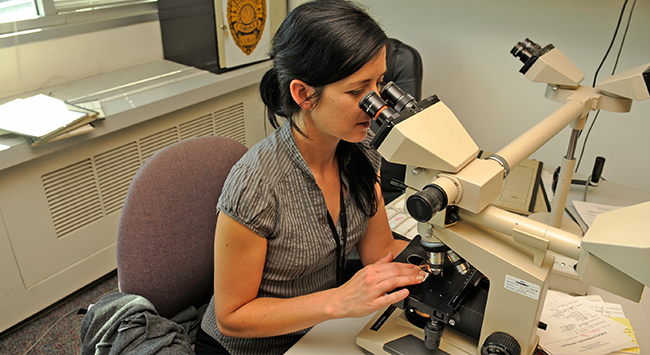 In the end, a medical examiner is an essential part of the crime-fighting process.